The ceiling design is a fantastic way to add character and focus to drawing room. 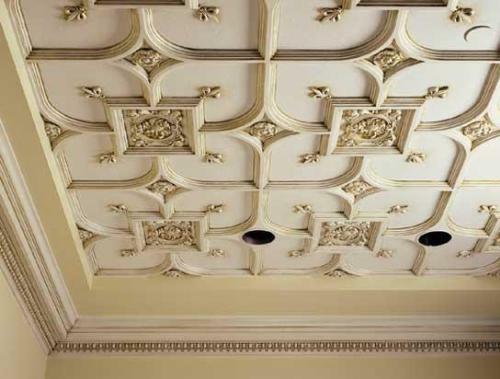 Add welcoming dimensions to drawing room ceiling by adding decorative ceiling medallions, ceiling dome, ceiling moldings etc. 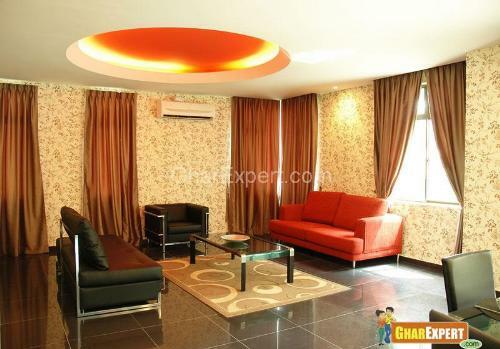 Add character to drawing room by adding stretch ceiling, wood plank ceiling, decorative ceiling lights or steel ceiling. Be creative with ceiling design, a range of creative designs is available for you. 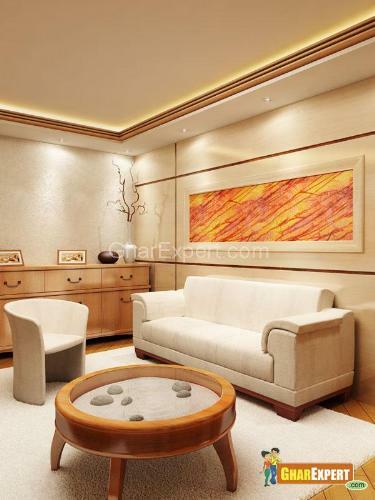 Lighting, paint colors, paper, texture paint can be applied to drawing room ceiling. We have a collection of ceiling designs that may help you to choose ceiling design for your room. 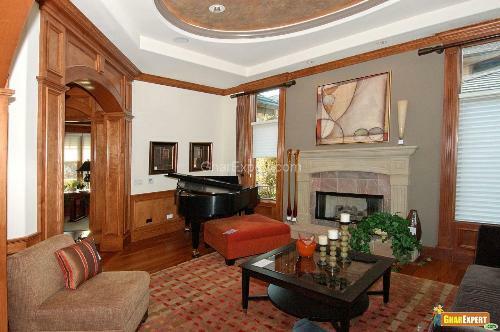 In low height ceiling, crown molding with ceiling lights create beautiful ceiling design with illusion of height. Adding a ceiling dome is also a great way to create an illusion of height. You may want to color domes in bright colors and add lights in it. Have a look on the picture below and see the bright colored dome with lighting. 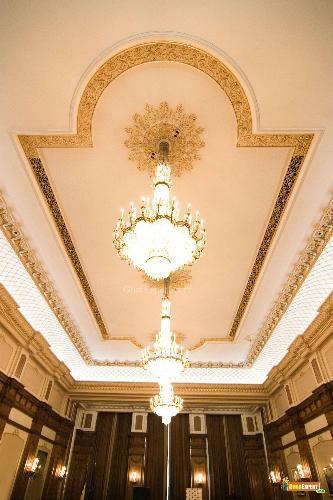 Tray ceiling is a popular choice for drawing room. 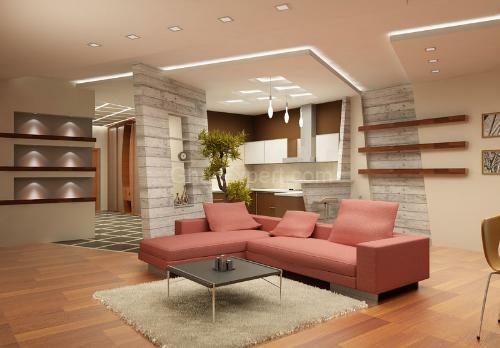 If you have tray ceiling, add hanging pendant lights and molding with tray ceiling to add character to drawing room. A chandelier in center of double tray ceiling looks great in high ceiling. Ceiling medallions are used to draw attention to chandelier and lighting fixtures. Ceiling medallion with glass chandelier adds warmth to drawing room. Ceiling medallions also enhance the beauty of crown molding. Medallions are comes in various designs and styles that can be painted in matching color. 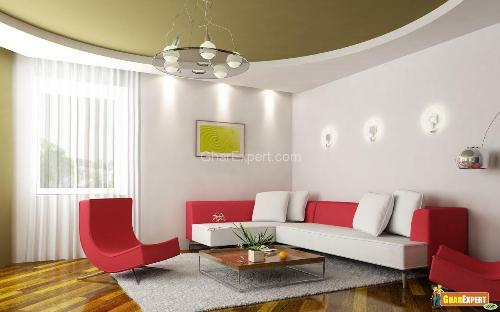 Add feature to drawing room with Pop ceilings, ceiling moldings and medallion. 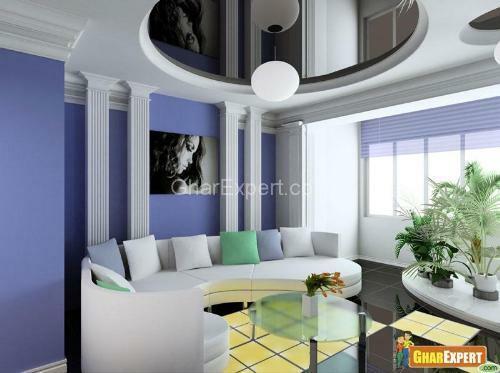 Be creative in Pop ceiling designing; choose a design of straight lines in small rooms and low ceiling. Coffered style ceiling designs in tray ceiling with crown molding in a large room may be your choice. 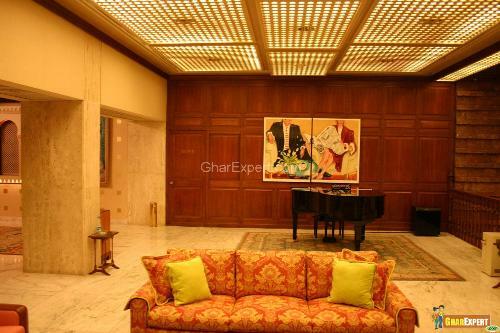 Add character to drawing room with glass ceiling and hanging light. Translucent ceiling may be your drawing room ceiling. Steel ceiling can be suspended and applied directly to the ceiling with ceiling lights and shadow lights. 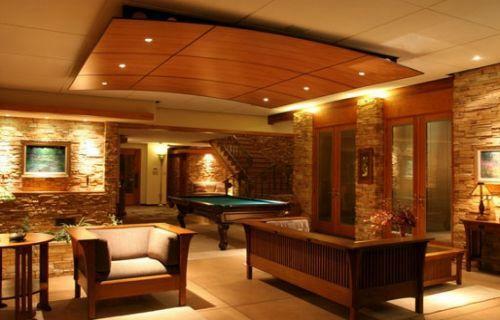 Suspended ceiling with ceiling lights or shadow of light from ceiling look beautiful in drawing room.